Carbondale-based Wilderness Workshop has warned the U.S. Forest Service that Aspen Skiing Co.’s plans to expand Aspen Mountain terrain may affect elk habitat. Wilderness Workshop is questioning if there is a need for Aspen Skiing Co. to add terrain to Aspen Mountain. 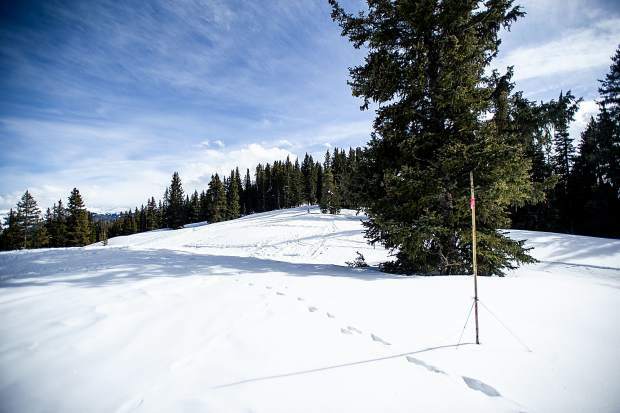 In comments to the U.S. Forest Service as part of the review of Skico’s plan to expand into the Pandora terrain, Wilderness Workshop said the stated purpose and need of the project to enhance the variety of terrain is at odds with Skico’s Aspen Mountain Master Development Plan. The conservation group also noted Skico offers a variety of terrain across its four ski areas. When asked by The Aspen Times for a response, Skico said, “While Aspen Mountain does ‘feel’ larger than the current acreage figure, the Pandora expansion will add variety to the terrain that can be enjoyed by Ajax skiers, specifically gladed terrain that is not ‘expert’ terrain. The proposed chairlift will also allow extension of existing runs, such as Walsh’s, Hyrup’s and Kristi, Skico noted. The company said wants to provide a broad range of skiing opportunities at each of its mountains. The Roaring Fork Valley’s oldest homegrown environmental group is concerned that Aspen Skiing Co.’s planned expansion into the Pandora terrain on Aspen Mountain could have a detrimental effect on wildlife. Carbondale-based Wilderness Workshop is pressing the U.S. Forest Service to make sure its environmental assessment on the Skico project looks at numerous wildlife issues, including whether the mountaintop development will affect elk’s use of terrain adjacent to Aspen Mountain and at the North Star Nature Preserve on the valley floor. “I think in terms of wildlife, elk is the biggest issue,” said Will Roush, a longtime Wilderness Workshop staffer who took over as executive director Oct. 15. Skico applied to expand Aspen Mountain by 153 acres with new terrain on the upper east end of the ski area. The Pandora terrain is on the skier’s right of the existing Walsh’s run. A chairlift is proposed to serve the terrain. Skico wants to add traditional, cleared ski trails but also a substantial amount of tree skiing through gladed terrain. The company claims the new terrain would add variety to the guest experience (see related sidebar on page A9). Skico also wants to expand its snowmaking system at the top of Aspen Mountain. 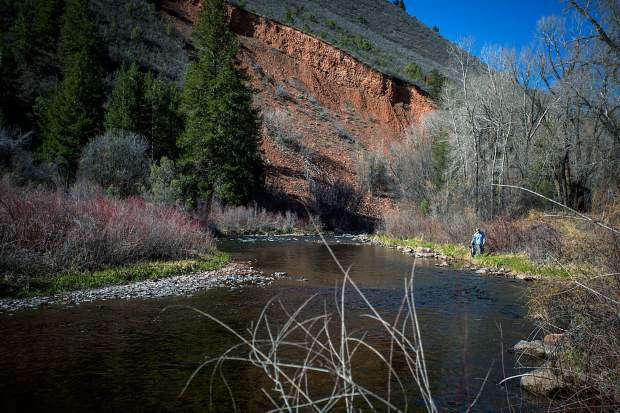 The White River National Forest is conducting an environmental assessment on the proposal. The EA and a draft decision notice should be released this fall, according to a Forest Service spokeswoman. Public comment was sought prior to the work on the EA and additional comments can be submitted once it is released. In its earlier comments, Wilderness Workshop outlined several potential impacts it believes should be studied. Summer range is where 90 percent of the elk population concentrates between spring green-up of grass and the first heavy snowfall. Severe winter range is where 90 percent of elk were located in the two worst winters out of 10. Wilderness Workshop is pressing the Forest Service to consider an alternative that would reduce the amount of terrain added and eliminate the chairlift. It also asked the Forest Service to separate decisions on the expansion and the snowmaking. 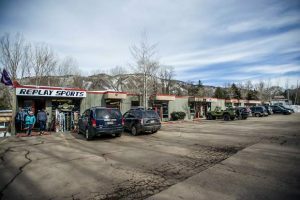 Aspen Skiing Co. spokesman Jeff Hanle said Skico staff is arranging to sit down with a Wilderness Workshop team to discuss their concerns. Some experts have weighed in. Colorado Parks and Wildlife submitted comments earlier in the year that said the project area is directly adjacent to an elk production area. It asked the Forest Service to prohibit construction on Pandora between May 1 and July 15 because of elk calving. The agency also advised putting up a wildlife detection camera to monitor elk use before and after construction to see if the project displaced animals. It also wants use restricted to winters only. Wilderness Workshop also said the project must account for the effects of climate change, which Skico is rigorously fighting to limit in its political and social campaigns. Wilderness Workshop said Skico and the Forest Service must make sure that the Pandora plan won’t harm wildlife as they seek high elevations on a warming planet. 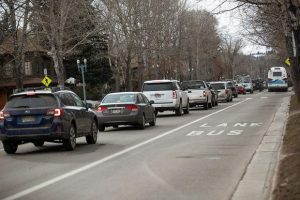 “The (Aspen Skiing Co.) is actively being affected by climate change and is taking steps to adapt by expanding snowmaking and increasing higher elevation terrain on Aspen,” Wilderness Workshop’s comments said. “Wildlife populations will also be impacted by climate change and specifically by increasing temperatures, shifting populations and habitats up in elevation. “The Forest Service must disclose whether this project will negatively impact both current wildlife habitat as well as predicted future wildlife habitat which has shifted as a result of climate change,” the comment continued. In a response to The Aspen Times, Skico said it is always examining climate-change issues. Wilderness Workshop’s concerns go beyond elk. It also wants the EA to look at potential impacts of development on other wildlife, including lynx and black bear. It raised numerous other issues in its comments, including potential effects of the development on air and water quality. Regarding Wilderness Workshop’s desire to see the expansion decoupled from other snowmaking, and its suggestion that a reduced alternative should be considered, Skico’s statement said the forest supervisor has the ability to select and authorize or decline specific elements of the plan. 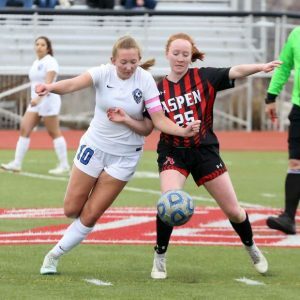 “The process allows for this and we are comfortable with the process,” Skico said.